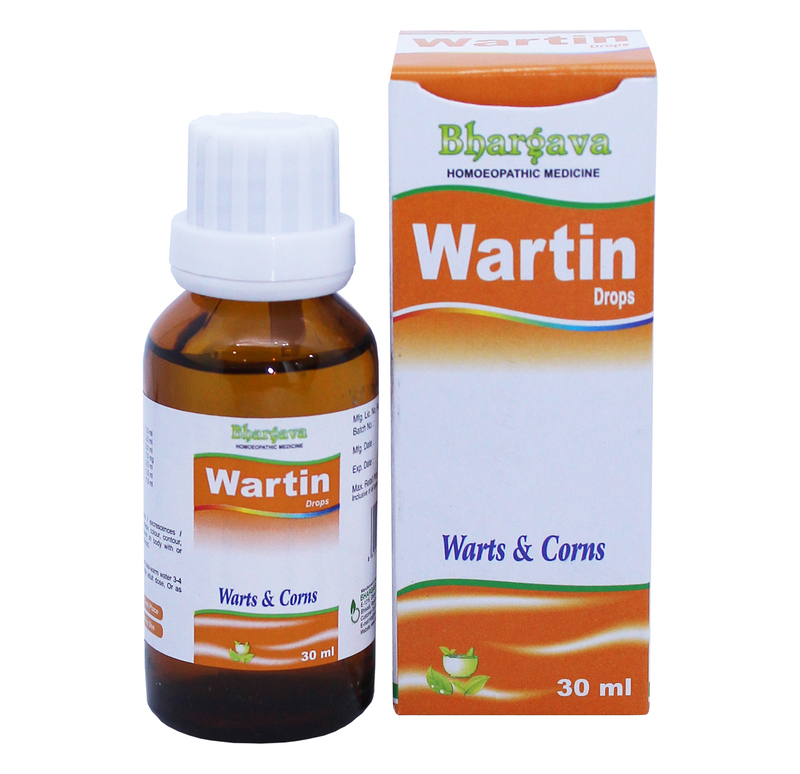 Doctor Bhargava Wartin Drop is a natural wart & corn remover. ADULTS: 10-15 Drops in half cup of luke -warm water thrice a day. CHILDREN: Half the adult dose. Wartin Drop is a result of techniques perfected over 100 years of practice. It removes all types of warts, corns, moles, excrescences and condylomata of any size present anywhere on body with or without oozing of moisture or blood. Start taking Homeopathic medicine today and get best treatment.